Increasingly acclaimed at home and abroad, Aberdeen-born John McLeod’s music bears all the hallmarks of exuberant colour and precisely imagined fantasy that his early associations with Lennox Berkeley and Witold Lutoslawski would lead one to expect. 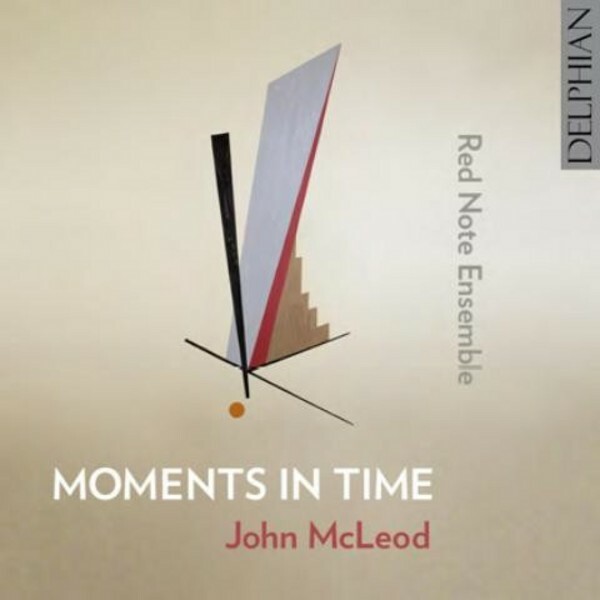 Recorded during the composer’s 80th birthday year and released to mark Red Note Ensemble’s new recording partnership with Delphian, this landmark collection brings together McLeod’s four mythological ‘songs’ – powerful dramatic scenes in which instruments are elevated to voice-like expression – and a further work which crystallises the theme of a single moment with a long expressive ‘shadow’. The extraordinary chamber musicians gathered here, two of them Delphian solo artists of long standing, display unequalled virtuosity and passion on a disc which is sure to confirm Red Note as among the UK’s premier contemporary music ensembles. Red Note Ensemble is Scotland’s contemporary music ensemble, commissioning and performing new music from Scotland and around the world. The Ensemble was founded in 2008, and draws its members from the deep talent pool of Scottish new music expertise. Red Note is Associate Contemporary Ensemble at the Royal Conservatoire of Scotland in Glasgow, an Associate Company of the Traverse Theatre Edinburgh and Associate Ensemble of the Sound Festival Aberdeen.